what is it when you go away and do ‘normal’ activites (e.g., running errands, doing work)? 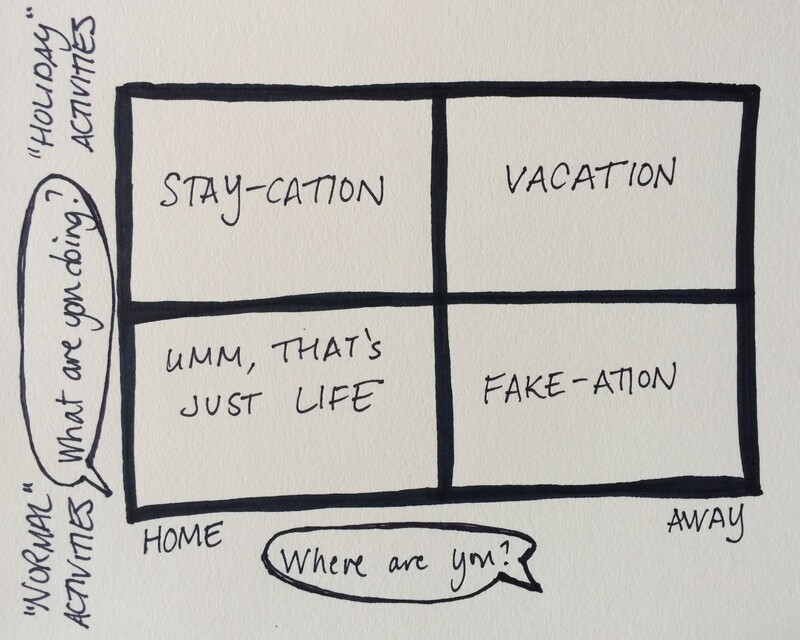 Introducing: the fake-ation (or, in other words, the ‘fake vacation’) – the time that you go away from home, but end up doing all sorts of normal things. You run errands, you catch up with friends, you get some work done, you finally go to the gym. To be honest, it’s hard to find a pure incarnation of any of these; you have to go get more sunscreen when you’re hanging out on the beach or take an hour to read in the midst of everyday. But the fake-ation is real.